Although the response to their application was very disappointing, the reason given served as a catalyst for something greater. The director of the training course explained, “Since there are 11 of you wanting training, we think you should have your own course there on your island.” Implementing a course was easier said than done, but 18 months later, a Translator Training Course came to fruition on Manus Island. It became clear that God had something bigger in mind than just training people from this one language group. In fact, 44 people representing 15 languages came to learn the basics of translation. Together they deciphered their own languages to analyze its structure and grammar. They learned translation principles and how to write a key term from the Bible when there is no equivalent word in the local language. They also studied Bible history and geography and learned how to use study helps in translation, including a study Bible. Their enthusiasm for using the study helps presented a new problem. 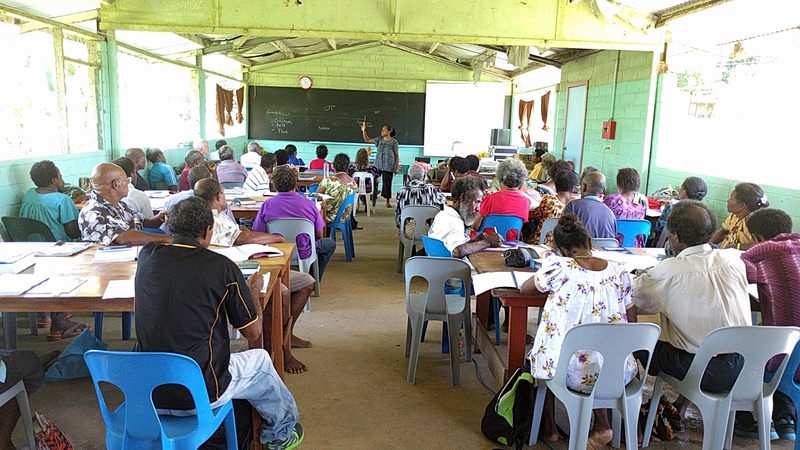 Because they were not expecting such a large group, the coordinators only brought 18 NIV study Bibles for the group to use. The attendees expressed their concern, “There are 44 of us living in villages spread all over Manus Island. We each need our own study Bibles!” Due to the quick help of a few key people, the Bibles were brought by truck from the highlands of PNG to the coast, then flown on a plane that was scheduled at just the right time to get the books there a day before these newly trained translators returned to their homes. The course itself brought transformation in the lives of a few of the attendees. One woman was sent by her language group because of her excellent typing skills. During the course she came to understand the significance of Christ’s death and resurrection and to put her faith in him. 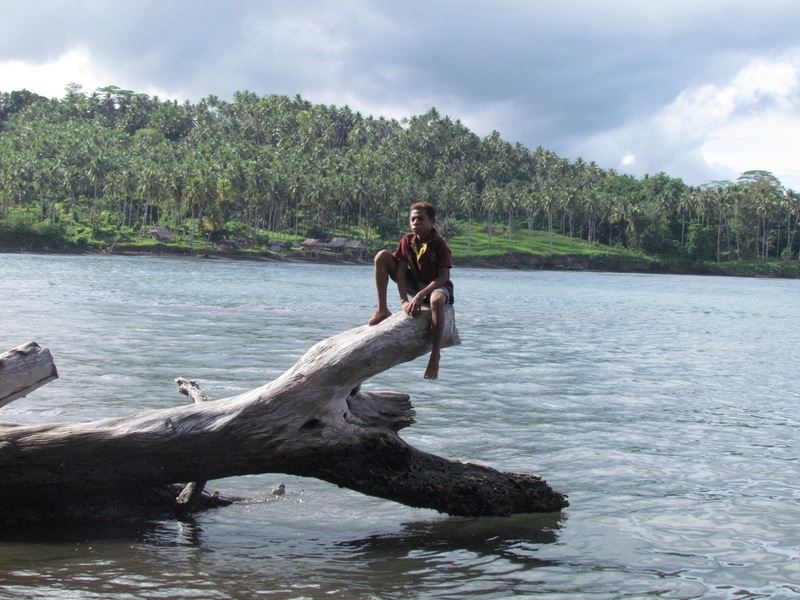 Another person whose life was changed was a man who was a leader of a cargo cult. Over the two weeks the group saw a softening in his countenance and heard him begin to apply Scripture to his own life. 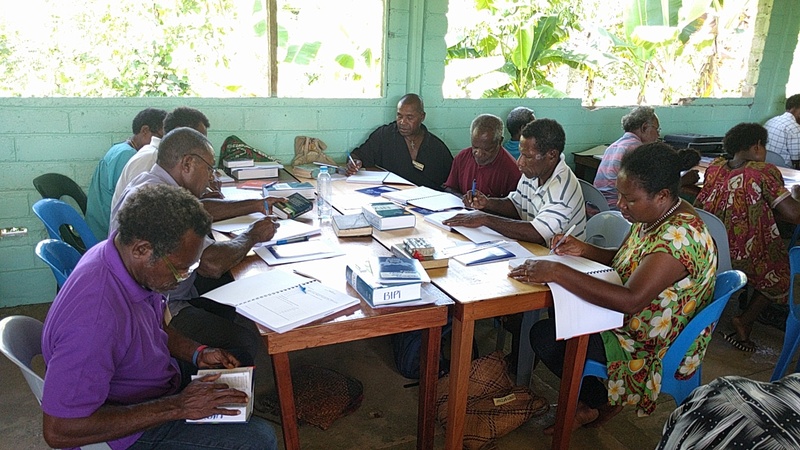 As these men and women launch into translation, pray that they would keep acquiring a fresh understanding of God’s Word and that it would continue to transform their lives and the those of the communities they are serving. In late July, Musungwik village was a buzz of activity. Men built a grandstand and two shelters for guests, covering the latter with coconut fronds to provide shade. Hosts welcomed guests into their homes, brought food from their gardens, and cooked a feast which included chicken, rice, yams, and fruit. Young children swept debris from the village while the women adorned the gathering place with flowers. Each task was done as a labor of love in anticipation of the arrival of the Urat New Testament. On the morning of July 30th people gathered in the village square. 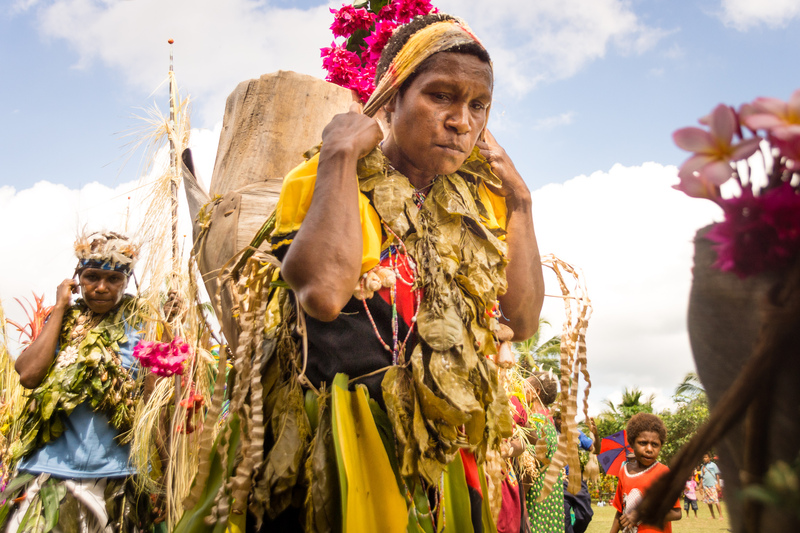 In the distance the sound of singing could be heard, and slowly a group from Nanaha village danced their way into the dedication area, dressed in traditional costume. They lead a procession of five Urat women carrying the newly printed New Testaments in bilum baskets. Each woman represented a different church denomination. After they placed the baskets holding their precious contents on a corner of the grandstand, the speeches began. Though they had not collaborated on what they would say, each person seemed to speak on a central theme, repeatedly emphasizing the importance of the Urat Scriptures, and each offering glory to God for bringing it through to completion. At the conclusion of the speeches, pastors from six denominations laid their hands on the New Testaments and prayed for God to use them in the lives of the Urat people. Afterwards, key people were given a book and others had the opportunity to purchase them. Now that the Urat people have God’s word in their language, is this the end of the work of bringing God’s Word to these people in their heart language? No, it is just the beginning. 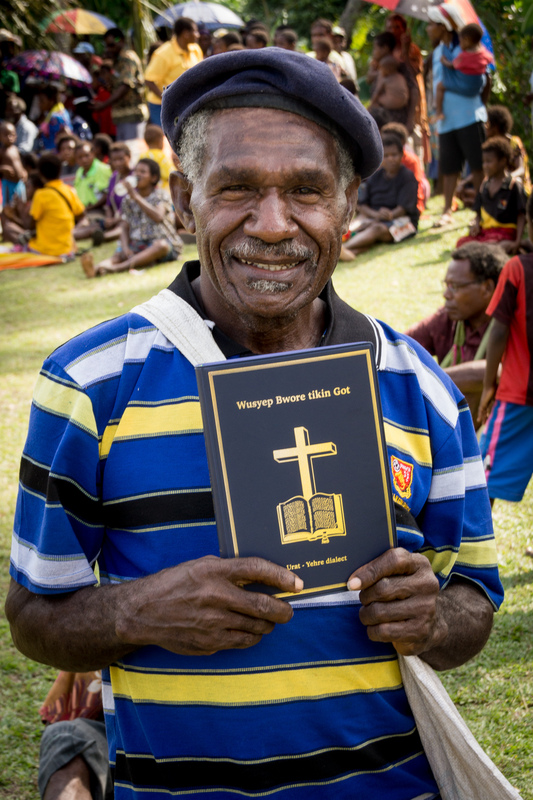 The church leaders and the Urat co-translators have plans for more literacy courses, Scripture Application workshops, and an adaptation of this New Testament into another dialect of Urat. They trust that God, who brought the Urat New Testament to completion, will continue to be their strength and guide on the path ahead.